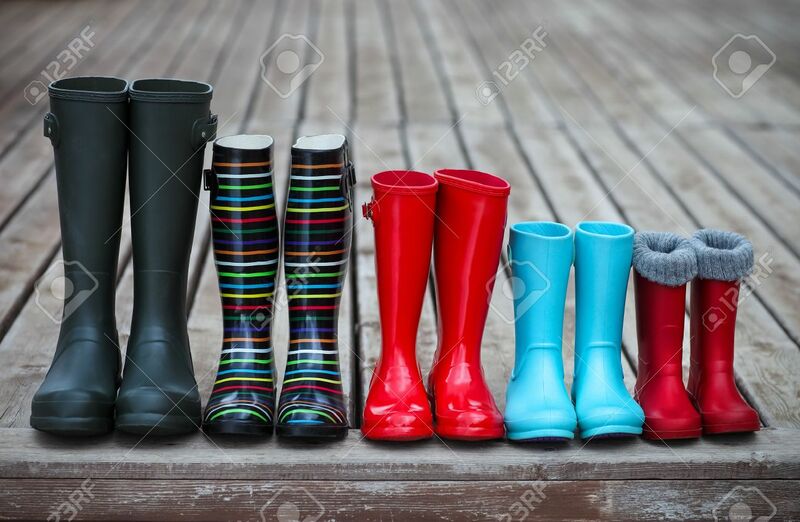 Five Pairs Of A Colorful Rain Boots. Family Concept 免版權照片，圖片，畫像及圖片庫. Image 40573102.